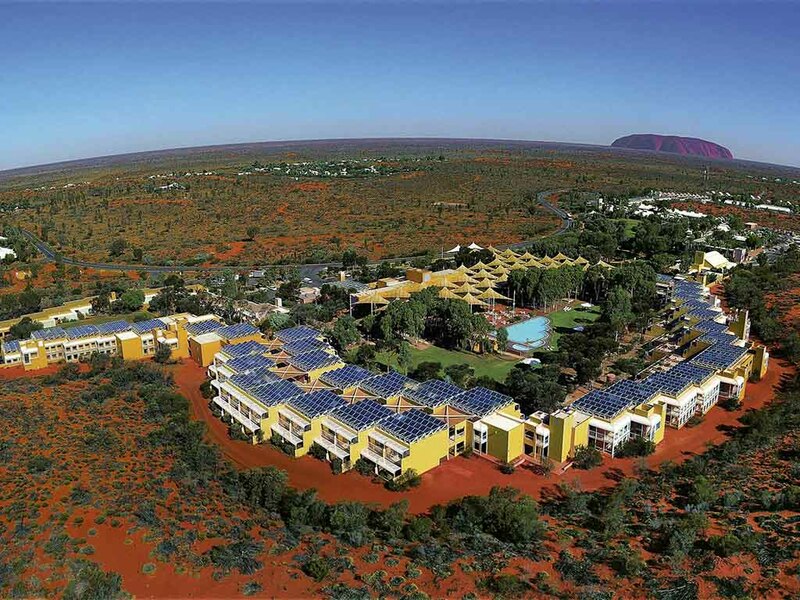 Experience the Red Centre in 4-star comfort at Desert Gardens,25 minutes' drive from Uluru (Ayers Rock). Cool off in your air-conditioned room with balcony or court yard. NOTE the hotels Food and Beverage facilities are under refurbishment until 31 March 2017. Alternate arrangements close by are available to guests. Please contact us for more details. A refurbishment to Desert Gardens hotel rooms commences in November, during this month there will be limited impact. The hotel will refurbish it's Food and Beverage outlets between January and March 2017. Alternate arrangements will be available. Standard Rooms are set throughout the gardens of the hotel. Deluxe Rooms face toward the vast desert landscape. Rooms feature either a balcony or courtyard area. All rooms have air-conditioning, movies on demand, minibar and bathrobes are provided. Deluxe Rock View Rooms offer private panoramic views of Uluru (Ayers Rock) and feature a verandah from which to soak in the sights and sounds of the Red Centre. Rooms feature two double beds or one king bed. Arnguli Grill features a table d'hote menu of two and three course set menu options, in relaxed surrounds. Children's menu also available.